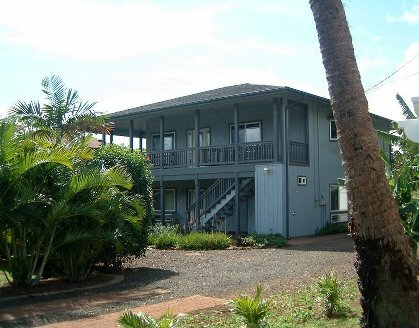 3 Houses from Poipu Beach Park! from the Poipu Beach Park the sunniest spot on Kauai. 3 houses from the park. 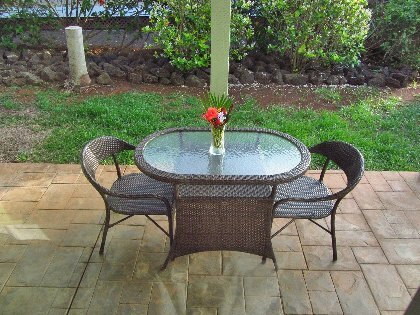 It offers the best in value and location in Poipu. 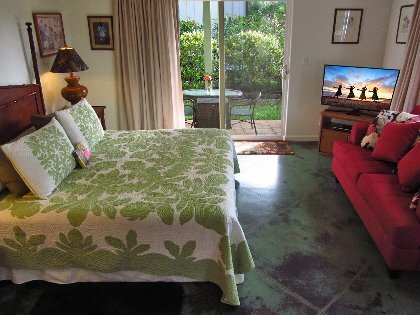 You can choose from any 3 of our suites, The Breakers Suite - one bedroom suite which offers oceanviews and air-conditioning in the bedroom, we have 2 studios suites, our Hibiscus garden view with full kitchen and our Seaside Suite, with kitchenette, air-conditioning and an ocean view. beach toys are available at no charge for use by Beachside Poipu guests. 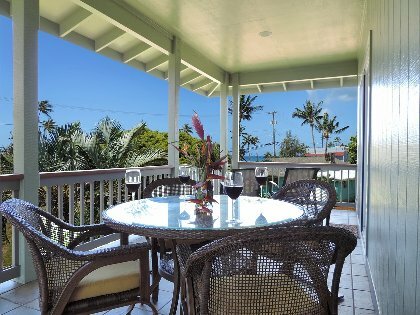 brilliant colors that fill the Poipu skies at sunset and then fade into the calm of a tropical evening with the gentle sound of waves breaking on the beach. As the sun rises, you can scan Poipu Bay for spinning dolphins, sea birds, humpback whales, and sea turtles. 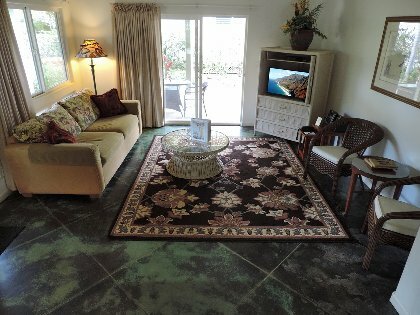 relax, read a book, or just "veg,"
Beachside Poipu Hale is your home away from home. Boogey boards, beach chairs, beach umbrellas, beach toys for the kids, hair dryers, iron & ironing board, books & game and unlimited sunshine! WI-FI for those who can't leave home without their computers! 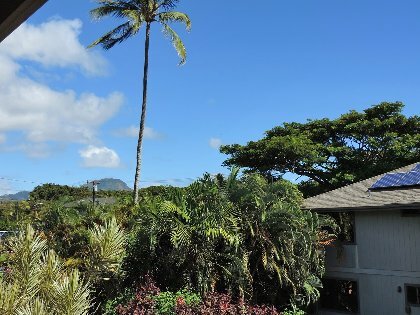 10% Discount on all island activities, ie: luaus, helicopter rides, sunset cruises, snorkeling trips, horsebackriding, ATVing, kayaking trips and much much more through our personal concierge. Deposit: DEPOSITS : We need to receive one half the total due (these funds will act as your deposit) within 7 days of booking in order to hold your reservation. The balance is due no later than 60 days prior to your arrival. 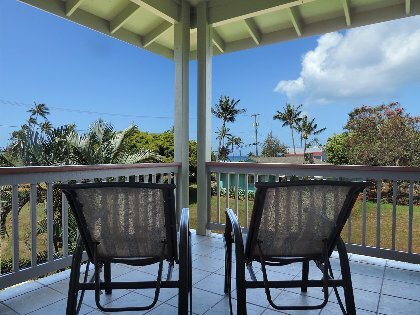 If booking one of our homes, Hale Koali or Hale Pua we require a refundable $500 deposit. Cancellations and Refunds: CANCELLATIONS : You have the right to cancel with 60 days written notice (90 days notice for reservations which include the dates 12/20-01/06). With timely cancellation notice, all advance funds will be returned less a $50 cancellation fee. 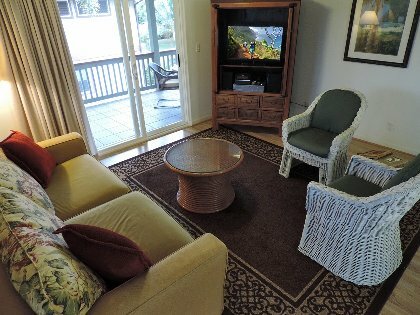 If your reservation includes the dates 12/20-01/06, there will be a $200 cancellation fee. If, less than 60 days written notice (or 90 days during the 12/20-01/06 period), all advance funds will be forfeited unless we can re-book your rental dates. There are no refunds for early departure unless we are able to rebook the room.